Inspiration and tutorials using Helmar products by the Helmar Creative Team. Hey there Helmar followers!!! 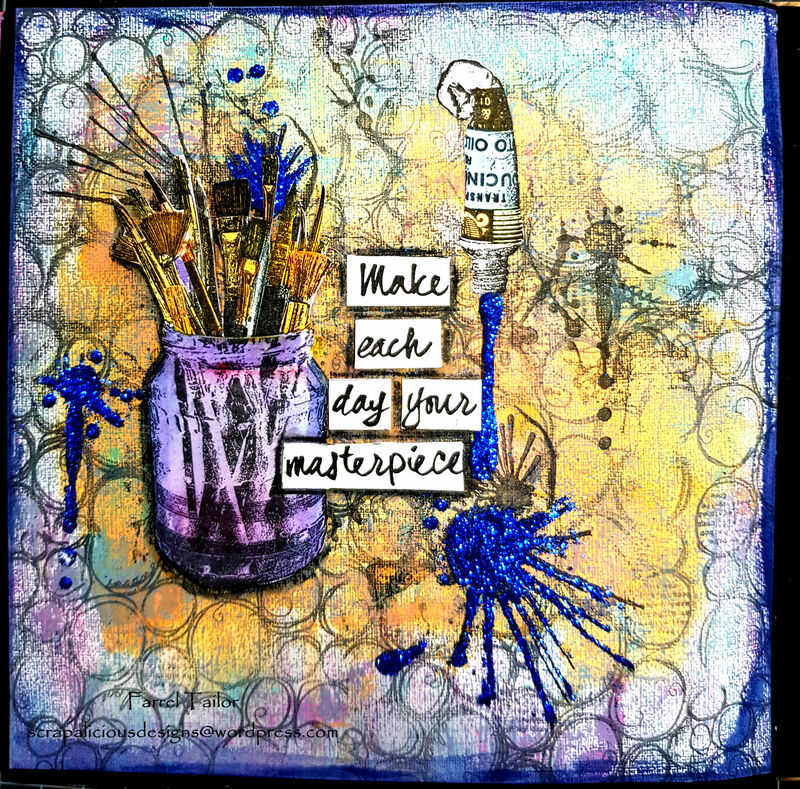 Farrel here to share with you all my mixed media art journal page. Sit back and relax and let me show you how I created this fun page. Next I stamped 49 and Market Going In Circles Stamp with Versafine. This is a small stamp so used it a few times till the cardstock was covered. 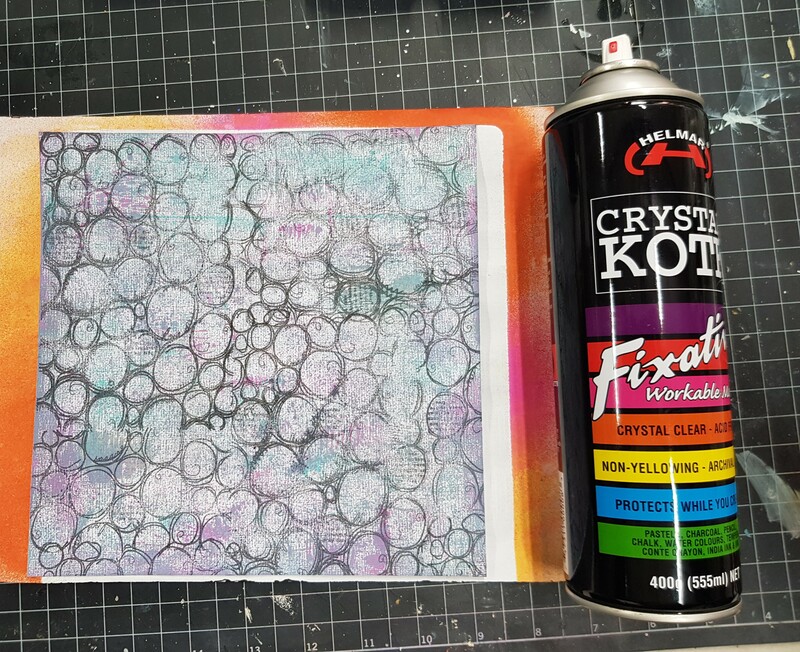 I then sealed the cardstock with Helmar Crystal Kote Fixative Spray. 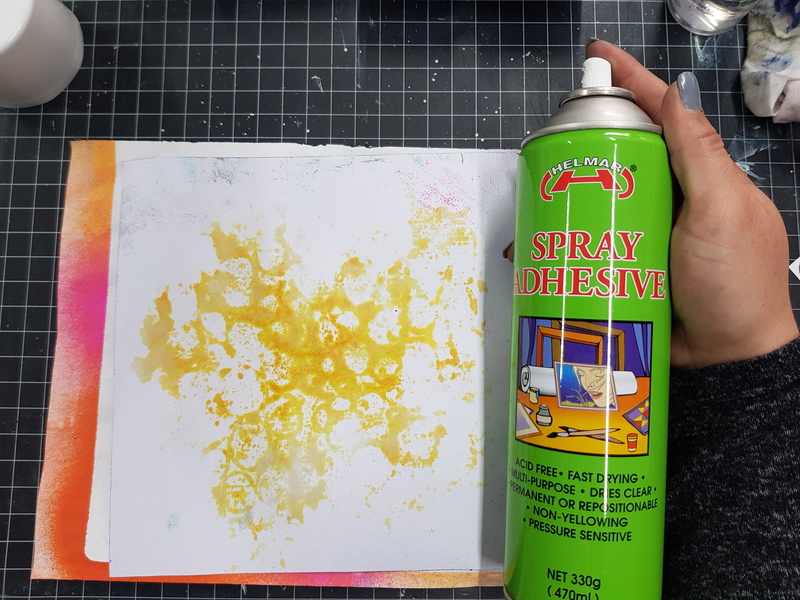 I am an impatient scrapper so I used my heat gun to make sure the fixative was dry but you could set it a side for a few minutes. 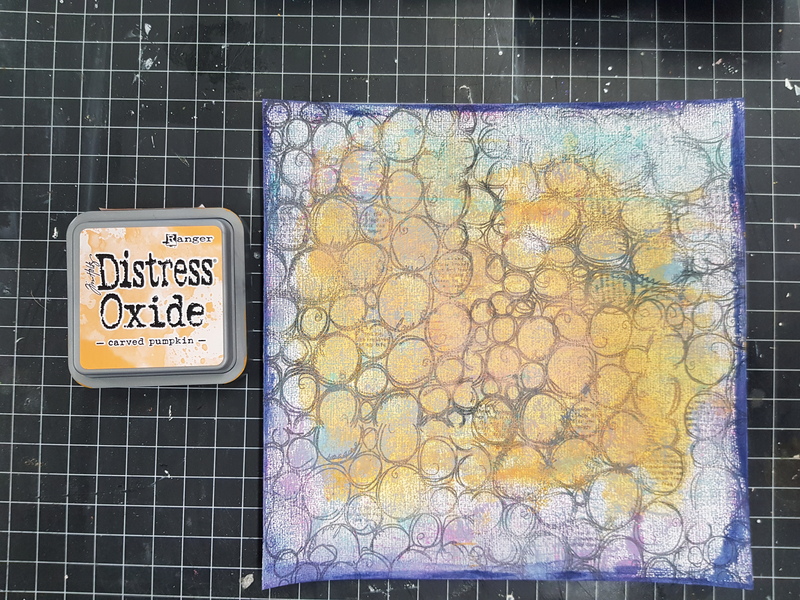 I then applied my Distress Oxide ink pad directly onto my page and sprayed with water until I was happy with the effect. Then dried it with my heat gun. 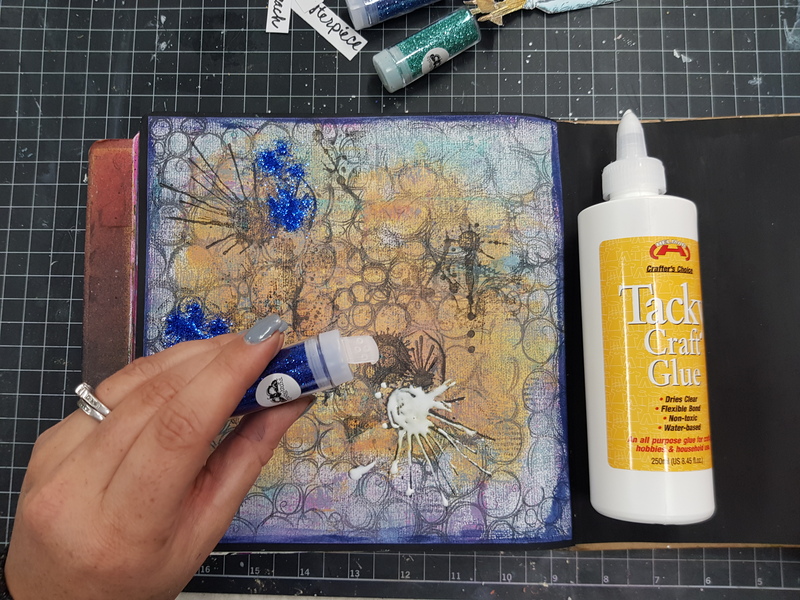 To adhere my page to my art journal, I used Helmar Spray Adhesive. 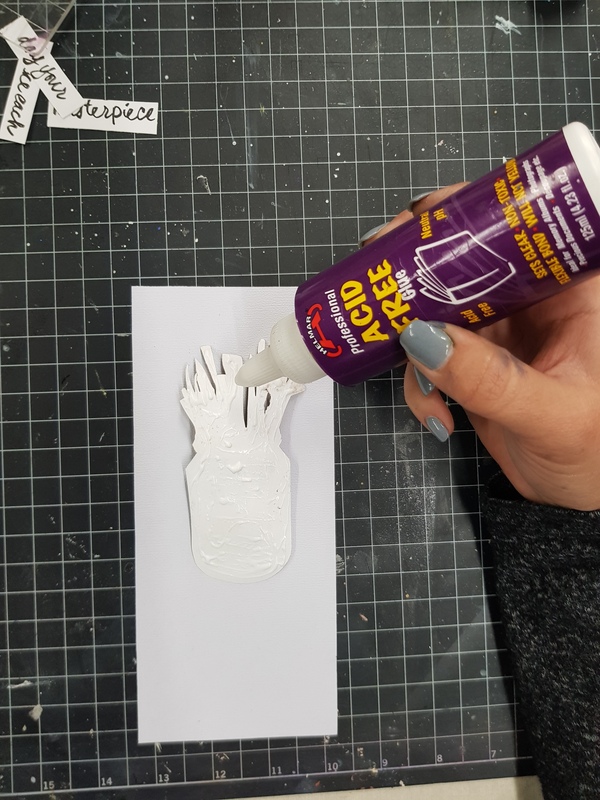 I always use a scrap piece of paper under the piece I am spraying, this just protects my work surface. 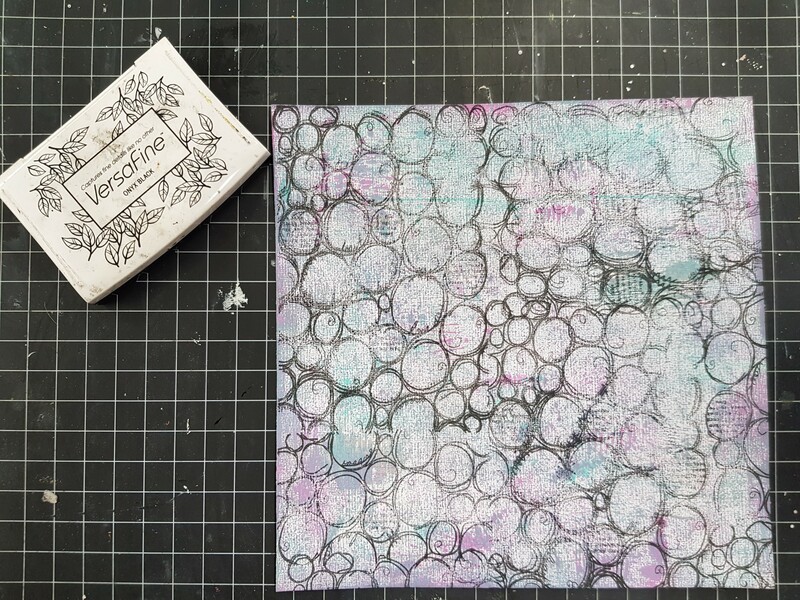 I left the sprayed cardstock for about 2 minutes and then placed it in my art journal. 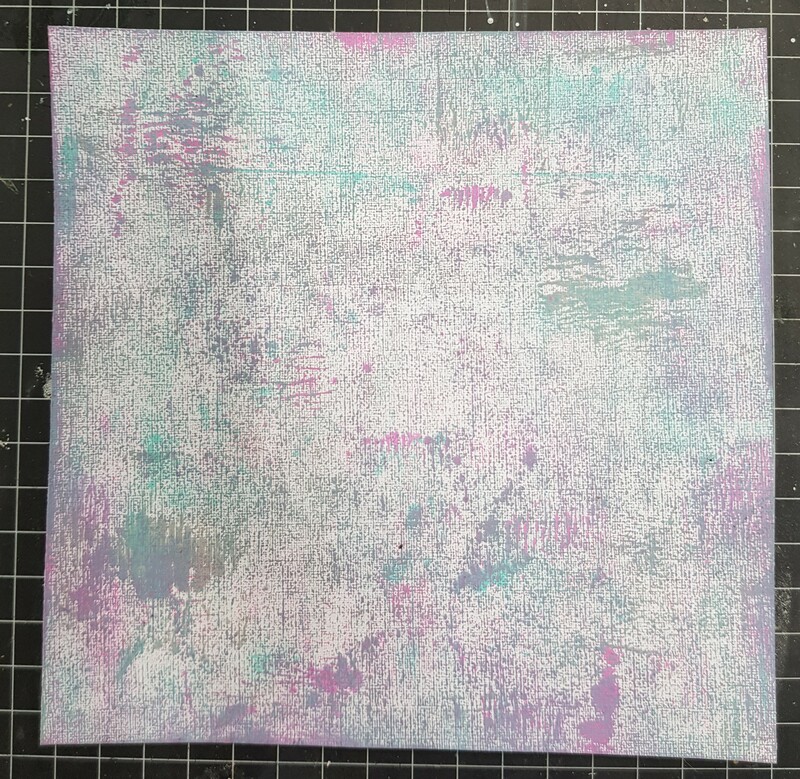 I stamped the paint splatters using Darkroom Door Paint Splats stamp set and then choose a few of the splats to add Helmar Tacky Craft Glue. Then sprinkled the glitter on top. I also used Darkroom Door's Artist's Palette stamp set for the paint, brushes and the sentiment. I used watercolour paints to add colour and then adhered them using Helmar Acid Free Glue. The Helmar Creative Team for 2019!